Log into your TourFactory account. Click on the Reports tab at the top of the page. Click the button labeled “Sites to be Turned Off”. If you are on a monthly membership, you will have the option to extend the property website for an additional 6 months. 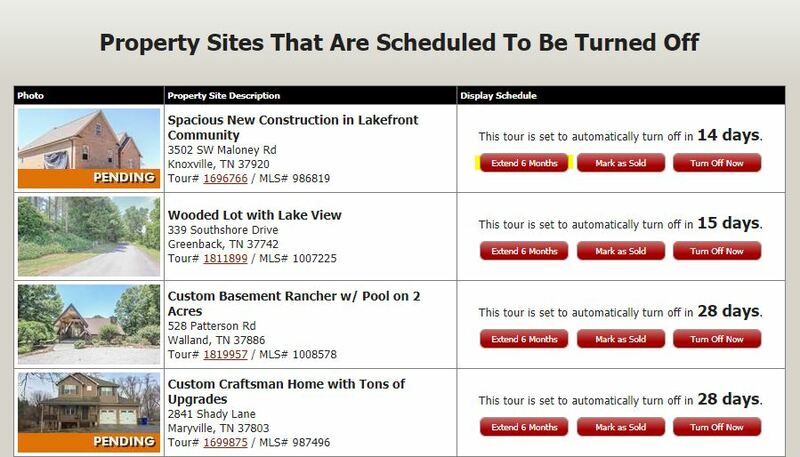 You can also mark the site as Sold or switch it to inactive by clicking “Turn Off Now”. If you pay per property, you will have the option to “Renew the Site”. This will take you to the shopping cart to complete your property website renewal purchase. The site that you have renewed will now be removed from the “Sites to be Turned Off” report.